The McKim Building was constructed to house the private collections of J.P Morgan in 1906 and today is the main structure of The Morgan Library & Museum campus. Designed by Charles McKim of McKim, Mead, & White, the building was conceived and constructed to an extraordinary level of quality, exemplified by its monumental carved blocks of Tennessee Pink limestone that were cut and laid on its lead sheet joints so precisely (1/64th of an inch) that it mimicked ancient dry laid masonry structures. Integrated Conservation Resources, Inc. has been leading the first exterior restoration of the McKim Building by providing holistic conservation design and construction administration services. 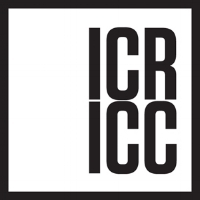 ICR’s work began in 2016 with an initial needs assessment that was composed of limited conditions review, archival research, small-scale cleaning testing, cost estimating and recommendations for assembling a comprehensive design team for subsequent phases. Work continued in the design phase with the construction of strategically placed scaffold towers to provide access for ICR to conduct a unit-by-unit masonry and lead joint conditions survey. Additional masonry cleaning mock-ups, probes and materials testing was also executed with ICR’s partner masonry contracting firm, Integrated Conservation Contracting, Inc. (ICC). Concurrently, ICR solicited and coordinated a team of preservation consultants from allied fields to ensure a comprehensive restoration scheme, including a preservation architect, roofing and waterproofing consultant, fine arts conservator, structural engineer, civil engineer, non-destructive evaluation expert, and environmental envelope consultant. The results of all investigations were used by ICR to carefully estimate and extrapolate overall restoration costs and bring the project into the production of construction documents and contractor selection. As restoration begins, ICR will provide construction administration services and will be leading the masonry and fine arts conservation efforts by providing continued oversight, materials knowledge, and quality control to the restoration of this iconic historic structure.